Barcelona is a wonderful destination to enjoy great food (starting from tapas), have fun and experience amazing nightlife. However, it is also a ‘mecca’ for art lovers and if you happen to be wild about architecture, Barcelona is definitely the place. 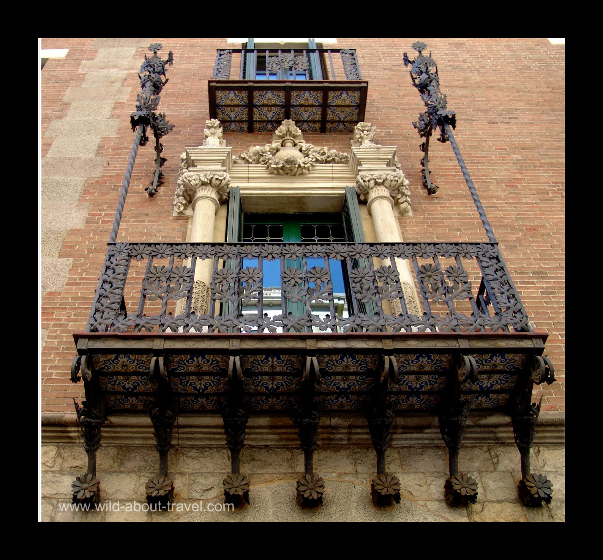 The Art Nouveau heritage (known in Spain as Modernisme) is one of the most interesting peculiarities of the capital and the most populous city of the Autonomous Community of Catalonia. Antoni Gaudì‘s Sagrada Familia, Casa Battlò and Parc Güell are the most famous architectural works of Catalan Modernism. 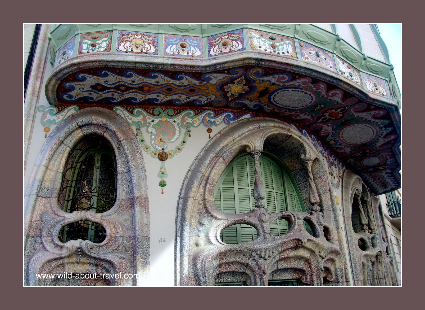 But there’s more than Gaudì’s stunning architectural wonders along the Ruta del Modernisme (the Modernism Route). Along the walk, you will discover the impressive buildings, palaces and residential houses of Gaudì, Doménech i Montaner, Puig i Cadafalch, admire the colors and the curvy decorations and feel amazed by the stunning interiors. 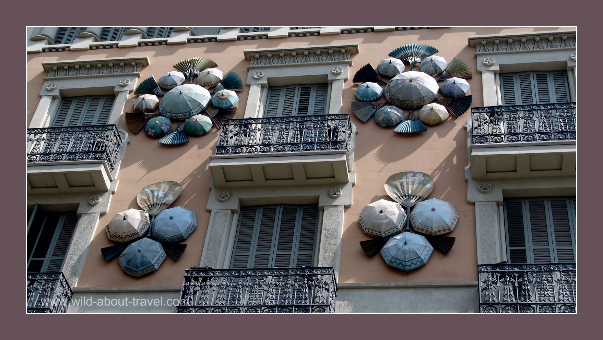 Strolling on La Rambla, you’ll encounter lovely Art Nouveau hotels, theatres, shops and cafés: Cafè de l’Opera, Gran Teatre del Liceu, El Mercat de la Boquerìa and many others. Lots of the best Modernism architectural marvels can be seen along the Passeig de Gràcia and the adjacent streets: Gaudi’s colourful Casa Batllò and the Casa Milà, known as La Pedrera, the awesome Palau del Baró de Quadres and Casa Amatllèr by the architect Josep Puig i Cadafalch, not to speak about number of ‘minor’ palaces of great beauty. The Modernism Route is so rich that you are likely having to do some ‘cherry picking’. Besides the Sagrada Familia and Parc Güell a wonderful little jewel that should not be missed is the Palau de la Mùsica Catalàna. Book a visit, or even better go to some concert in this amazing architectural work. You’ll feel bewildered! These are such gorgeous pictures Simon! I personally adore Casa Amatllèr, can’t stop staring at it each time we pass by! I perfectly agree, Barcelona is my favorite city, it has it all and it is unique. You won’t believe that until you’ll see it. I wish you all to have great travels! I am not a huge art fan but Gaudi is amazing to see all over Barcelona! Lovely posts! If you love Barcelona + Catalunya come and share your experiences. I’ve been dying to make it out to Barcelona for sooo long. These pictures are driving me insane! I want to go so bad! Lovely post and very good synthesis on the topic – congrats! I wonder if it is a friendly place to travel to? I really have to get to Barcelona! Oh yes, you have Melvin! Barcelona is such a wonderful city and I’m sure you’d fall in love with it! haha Love it!! Love the umbrellas and fans!! 😀 Whan an idea! Love Barcelona and Gaudi’s works. I agree there are much more than just Gaudi’s work, but gaudi’s are sooo unique, so different with anything that I’ve seen before. Totally captivating! I totally agree, Dina. Gaudì’s architectural works are unique and inspiring. And usually on the bucket list of Barcelona visitors. I just wished to highlight a few less known although awesome architectural works. Barcelona is very high up on my travel list. Thanks for the ideas! Indeed Barcelona is one of the loveliest European cities. I’ve been there several times and still feel the same pleasure.